Khutulun What could be better than packing one piece that is versatile? A piece that transforms into 4 different pieces! Khutulun is a bold, beautiful and fierce headpiece. 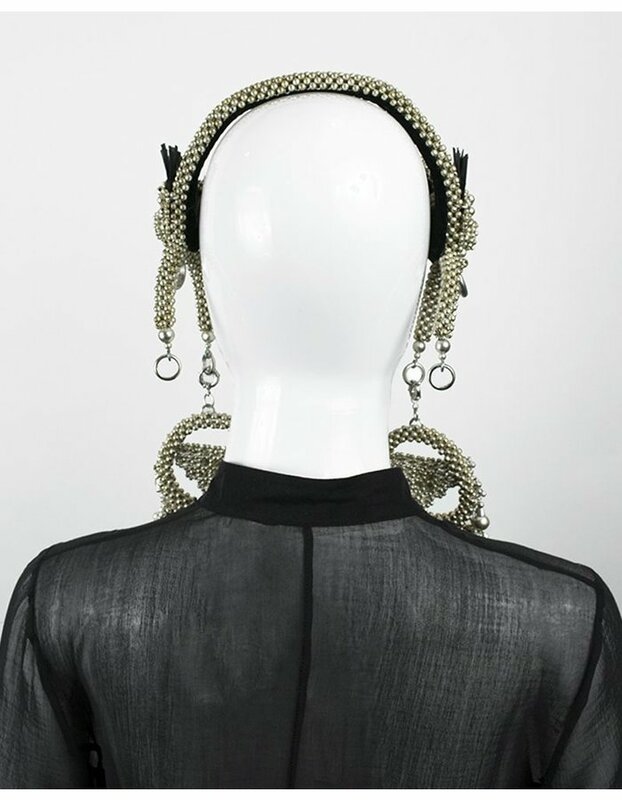 Stainless steel beading with black leather accented detail above the ear. Comes with four removable black tassels and a removable face bar. 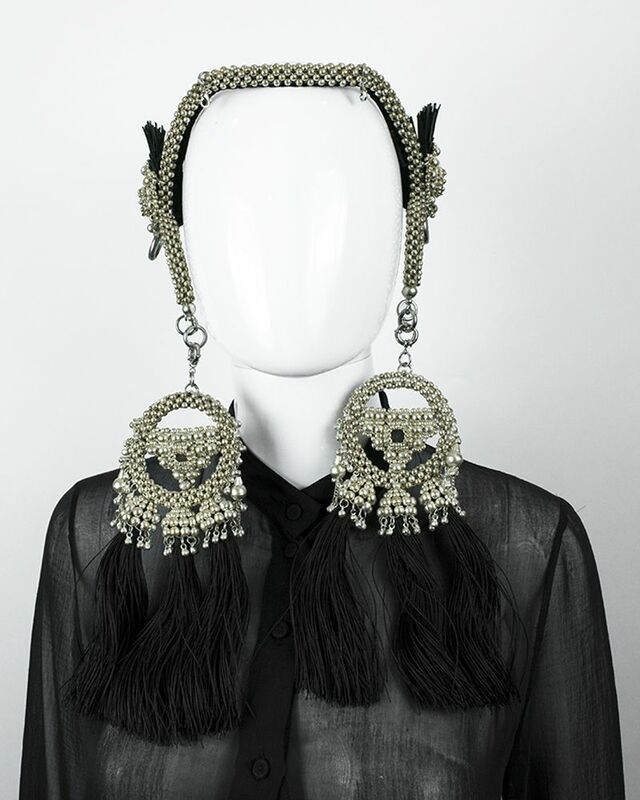 Modular As with all of our pieces, Khutulun can be worn with multiple different tassels and attachments. 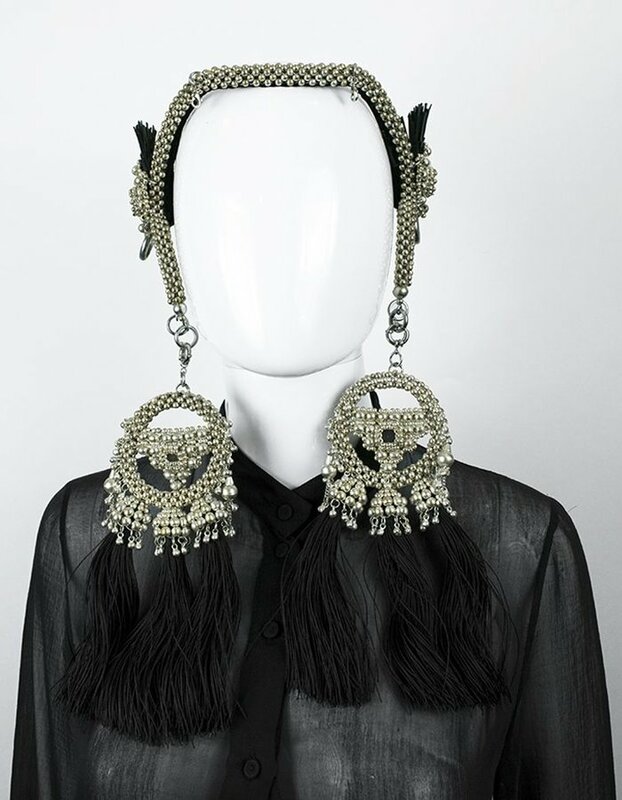 It is sold here with 4 removable black tassels, that can be worn as a pair or all 4 at the same time. Face bar is also removable so you can wear this headpiece system all at the same time, or split it up in several looks! Comfortable and Functional All pieces easily clasp on and off. The crown is lined in velvet ensuring comfort for hours. 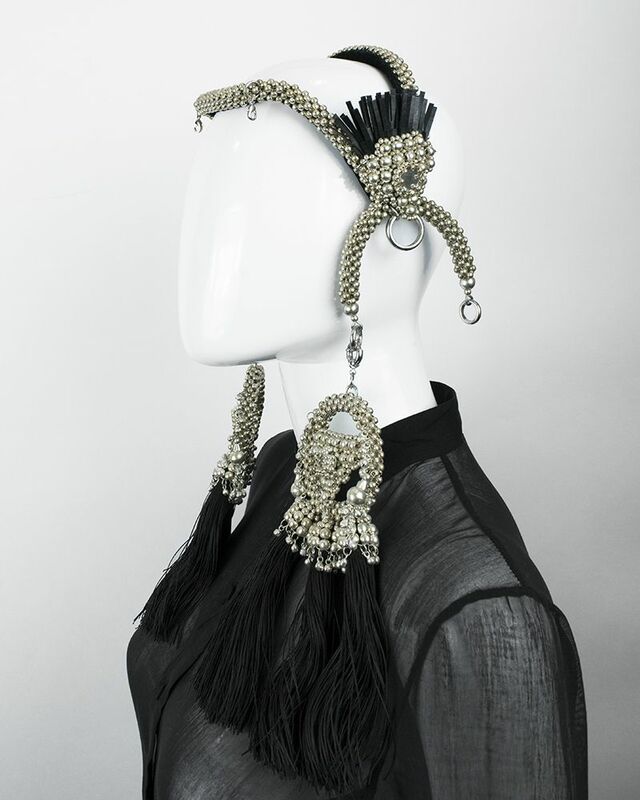 The main crown is flexible and can be adjusted to the shape of your head to fit snugly.